A professionally installed and maintained intruder alarm system is a significant deterrent to crime. But true peace of mind and security comes not only from having a fully integrated security system, but also from having your security monitored 24 hours a day, 365 days a year. In fact, today most insurance companies will demand that installed alarms are monitored. At Paragon Fire & Security Systems we offer monitoring services of remote signalling intruder alarm systems, ensuring that should your alarm be activated, either you, a nominated key holder or one of the emergency services will be informed immediately. Our ARC (alarm receiving centre), is Southern Monitoring, the largest independent ARC service and largest independent RVRC service in the UK, monitoring over 1,500 alarm installers’ systems. Paragons’ fully qualified security engineers install your recommended alarm system and fit the communication device, either inside the alarm panel or on a separate power supply. The alarm communicator is capable of sending a coded message for a number of activations or faults. As engineers we refer to these as Pins. The type of response depends on the grade of the system. A Grade 2x system is classed as audible only but can use a speech dialler or SMS coms module to send an alert to mobile phones. It can also use a digital communicator to signal to an ARC, but is not suitable for the use of police response. Grade 2, 3 and 4 are all for police response and must be installed and set up to meet the requirements of BS 8243. We offer the professional installation of new intruder alarm signalling devices from our partner CSL. The CSL security range provides simple & reliable remote alarm signalling for domestic, commercial and retail premises. CSL is one of only two brands directly quoted by all leading insurers and all products meet the highest levels of quality and safety as well as the requirements of EN50136. Alternatively, we will manage the maintenance of existing systems. What sort of system do you need? The DualCom GradeShift range, the UK’s fastest selling and most used dual signalling system, is a highly reliable, easy to install product on a single hardware platform for any grade of risk. It provides multiple signalling paths that embrace all available technologies. 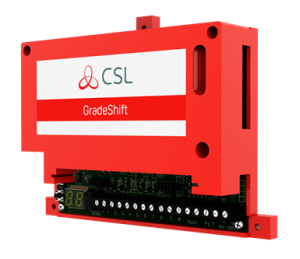 GradeShift UDL enables Remote Servicing & Diagnostics (RSD) on an installed alarm control panel reducing the need for engineer visits. Extended formats such as Contact ID and SIA provide ARCs with more detailed information about the protected premises and alarm events. 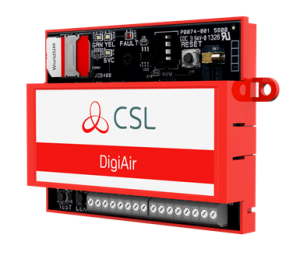 Our CSL single path options – DigiAir, G2r and G3r – eliminate call costs and are the ideal solution where there is no telephone line available. Paragon are approved and certified installers of CLS Dual-Com & BT Red-Care products. Call us today on 01483 724484 for a quote or to find out more about how we can help you protect your business premises or your home with remote signalling.